The hearing was heard in camera over three weeks in the Magistrate’s Court in John’s Hole. 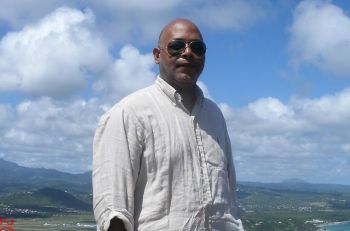 And for the first time in any court proceedings in the Virgin Islands (British), the prosecution demanded the Governor, who ordered the second hearing of the two men on the request of the United States Justice Department, to appear in court physically as opposed to the submission of a written document which is the usual practice. The same governor, John S. Duncan OBE, had exercised his powers in the VI Constitution to take monies from the Consolidated Fund to pay for the extradition hearing, among other things. This is the second time in the history of the relationship between the Virgin Islands (VI) and the United States of America (USA), a treaty signed years ago between the USA and the United Kingdom and Northern Ireland, called an extradition treaty, is being tested. 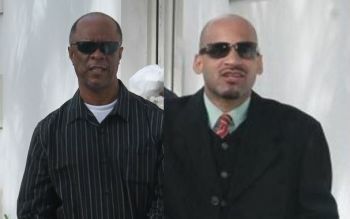 It is our understanding that the Treaty is administered by the USA State Department and the request document was signed in 2011 by then Secretary of State Hillary D. Rodham Clinton to have Earl Delville Hodge, aka ‘Bob Hodge’, and ex Customs Officer, Roberto Harrigan aka ‘Tico’ brought to the USA to be tried for alleged narcotics transactions. The first extradition hearing went in favour of Hodge and Harrigan. Meanwhile, the historic second extradition hearing was being funded to the tune of over $15,000 a month, which included salary, allowances, security and other associated costs for an imported Magistrate, Mr Shawn Innocent of St Lucia. The extradition hearing began on June 6, 2017. If this extradition succeeds, a warrant will then be issued for Hodge and Harrigan to be extradited to the USA to stand trial. However, the men have a total of 14 days to appeal the order by filing a writ of habeas corpus. Wow let my people go! Magistrate Innocent, live up to your name -- let our men go free. The US has done enough wickedness in the world, why are they interested in prosecuting a few men and they do not prosecute themselves for what they did to our ancestors when they enslaved them and lynched hundreds in the South? Were they ever prosecuted for what they did to the Africans? As sure as the sun sets in the west, that day is fast approaching when you will understand what Ancestral vengance means. It will be swift, steady and you will know that the God of our Ancestors is very much alive and you shall see the judgment of the wicked. It has murdered our babies in their Planned Parenthood scheme to keep down the black race; it has incarcerated our men so that our population do not grow, it has stifled the growth of our race whenever we try to get together to advance our cause, and to this day it is threatened by the success of a few. Come people, see the nation returning to a "brown nation" as in the past. It is unstoppable. We are melanin and we shall not die. Though it tarries, we wait for the deliverance of our people. We have started; first black president - take that. We are uniting and all plans to displace our people will miraculously be rendered nugatory. Rise up, mighty black race. I believe FreedomFreedom hit the nail on the head.. he called out America. I don't think the facts presented amounts to racism. Look like you running scared the predictions are eminent. On the definition of racism, nothing in that post appears to show prejudice against one people over the other or holding prejeducial feelings towards another group. You may not like the post, but sure sounds true. Sorry it mashup your corn. That was some really good weed. It's not weed they going down for. Read the indictment document the US have (Google it). They have lots on these guys. @Freedom Freedom, let me just clap back for a moment. Since we are full of wickedness, why do you come to the US for medical treatments, shopping and most of all use the US dollar. You are no more than one ignorant, jerkerfied racist. It hurt you no? You think the people not taking up a book to know what's going on about their people? What does Freedom's post got to do with travelling to America, spending US dollar or travelling to USA? The post is talking about the non-punishment of America for their role in the black holocaust. It is well true that blacks are incarcerated more to help those who own businesses in prisons and also to keep the black race under. You are not truthful, US, but want to calling people racist. Check the meaning, man. If the tables were turned in the VI, you would be whopping us again. Be honest, man, America's days are numbered and you, US, going down with it. The governor refused to deport foreigners convicted for drugs and weapons here in our courts but pushing for our people to go to Amerika slaughter house. Hmmm. @tola, that's how you feel but we are going to get them. The same way you cannot beat the IRS. Let me spell it just in the event you don't know what it is. Internal Revenue Service. You cannot beat the Feds. Shut your rarm, USA, someone and something bigger than USA is waiting to avenge its people. USA cannot stop it; it is called "Spiritual Payback." For those America lynched, those it enslaved, those whose blood cried from the earth, those who cried and were brokenhearted, look back at history and see what has been the reward of a wicked nation - Farakan said America is more corrupt than any other - so nothing you, the Feds or the IRS can do to stop what's coming. As leaves are majority green, so will America's punishment be - stand fast and see the reward of the wicked. It's coming. BVI legal system Smells like a rotten fish. this case is all a bizarre mystery. Money for paying overs magistrate to deport we people but not for our school children?